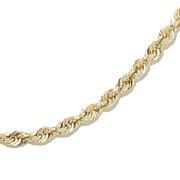 If you are a "less is more" girl, you'll love this chain. It's just the right size to adorn your neck. Want a little more? 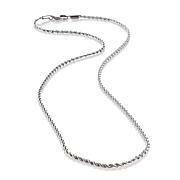 Layer it with your other chains and necklaces or add an enhancer pendant. Our daughter's graduation chain was stolen, it broke her heart. I replaced it, but the new chain kept breaking. I saw this subtle yet stylish box chain and knew it was meant for her! I purchased this 20'' MA box chain and I'am very happy that I did. It's sturdy, it sparkles and will hold all my pendants. I also love the lobster claw clasp. 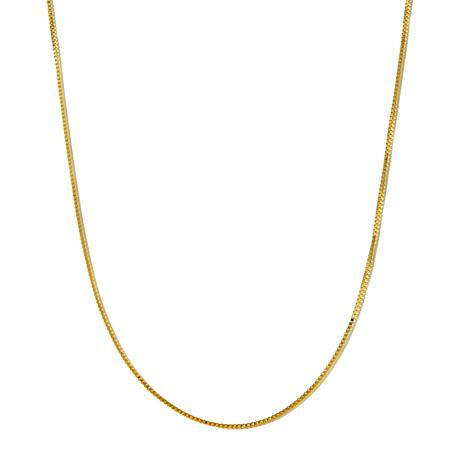 I loved this chain so much I went back and ordered it in the 18''. Thanks MA and HSN. Beautiful necklace. Very happy with it. I needed a chain for a christian medal. I have it on now...its just so pretty. Very well made.